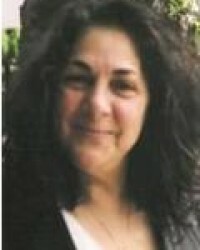 During a reading, Sandy will use gift of clairvoyance, along with the Tarot Cards, (or without) and her deep understanding of Astrology, to provide unique and accurate insights into your issues and situations. Sandy thoroughly enjoys working with people on their interpersonal relationships, business decisions, and spiritual growth. Sandy says her objective is to aid you in achieving, at ALL levels of your life, the very, very best possible. Besides, the gifts mentioned above Sandy will also channel messages from spirits and from beyond, who wish to communicate with their loved ones on the physical plane. Over the years, Sandy has hosted and produced her own Astrological cable TV show “Charting the Stars” along with also hosting “The Psychic Power Hour” A one hour call-in radio talk show. Don't miss this unique chance to speak to her. It will be an unforgettable experience, just call 0207 111 6304 from the UK or 1877 608 3731 from the USA.